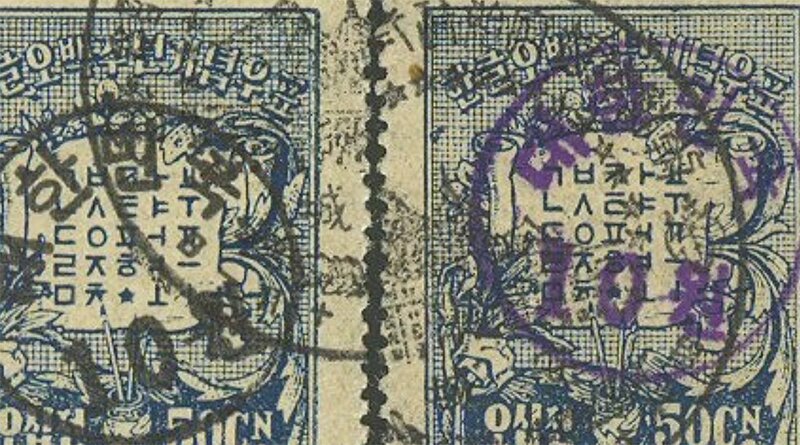 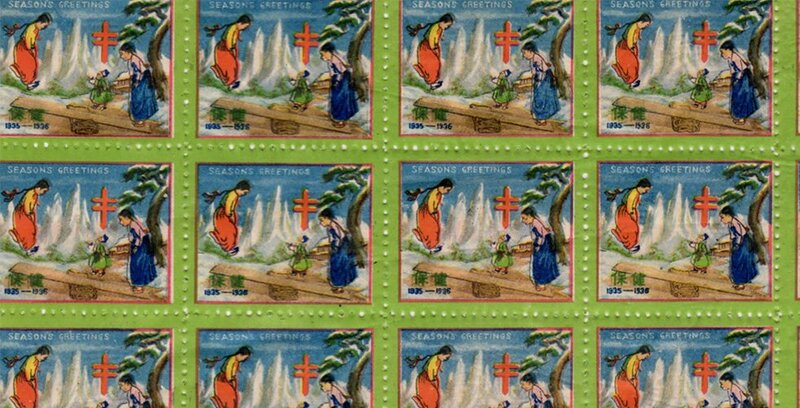 November 30, 2018 January 13, 2019 Robert Finder2052 Comments on Do These Korean Stamps Really Exist? 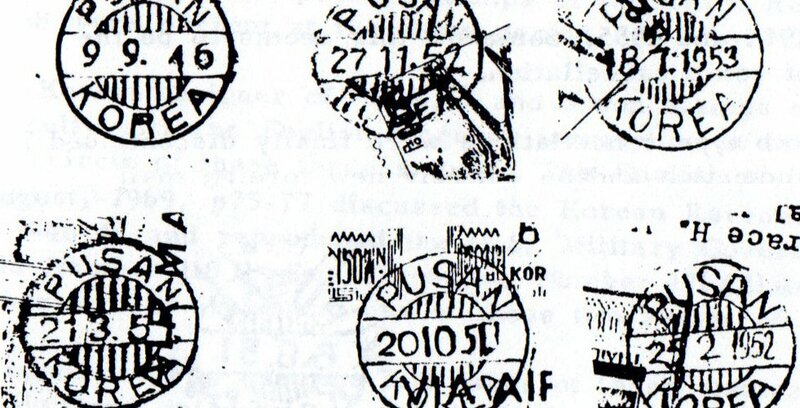 Time for a Quick Update. 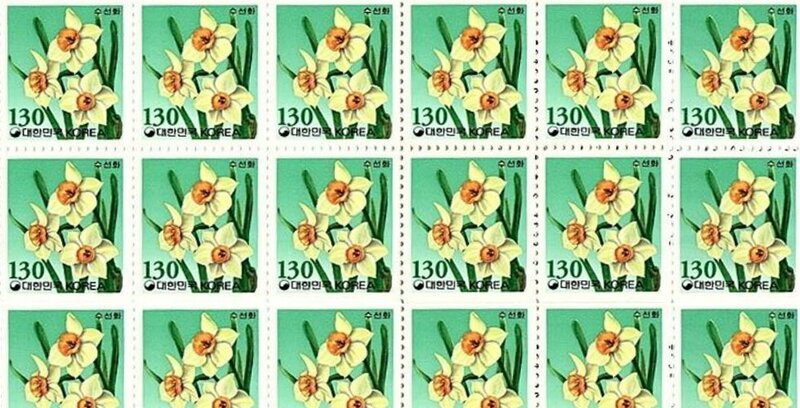 (News from 조선우표사 / Korea Stamp Corporation) On 15 November 2018 the 조선우표사 / Korea Stamp Corporation issued a stamp showing the Kimilsungia and Kimjongilia, the so-called “Immortal Flowers”. 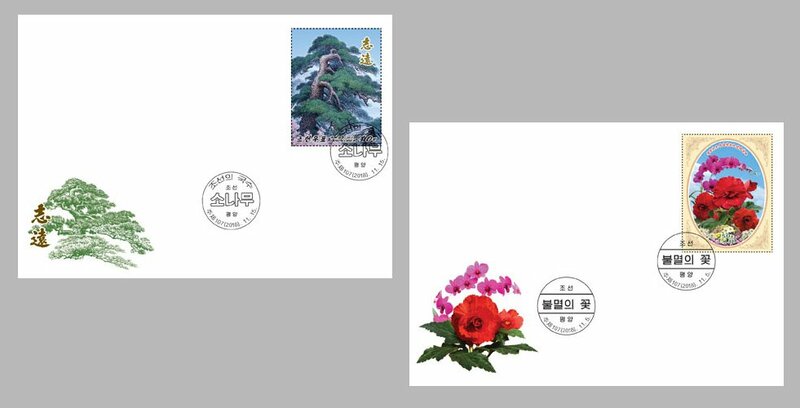 At the same time the KSC also issued a stamp showing a pine tree, which is the “National Tree of the DPRK”. 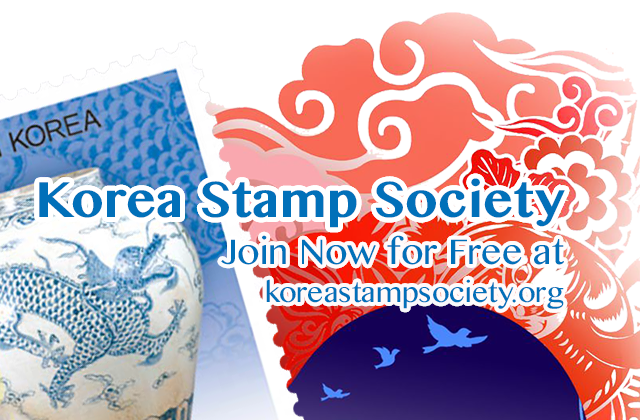 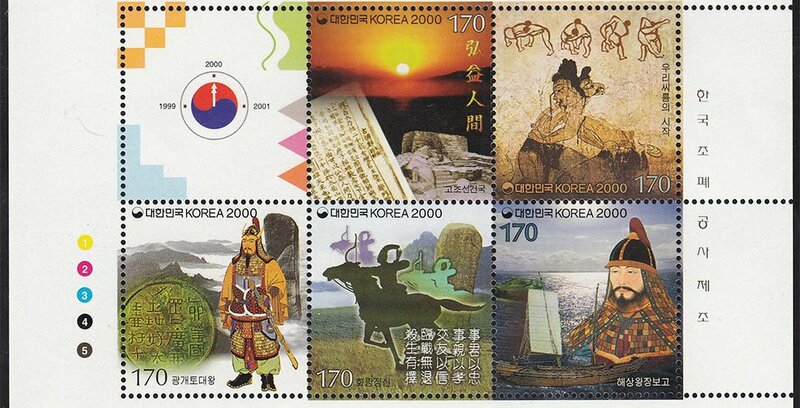 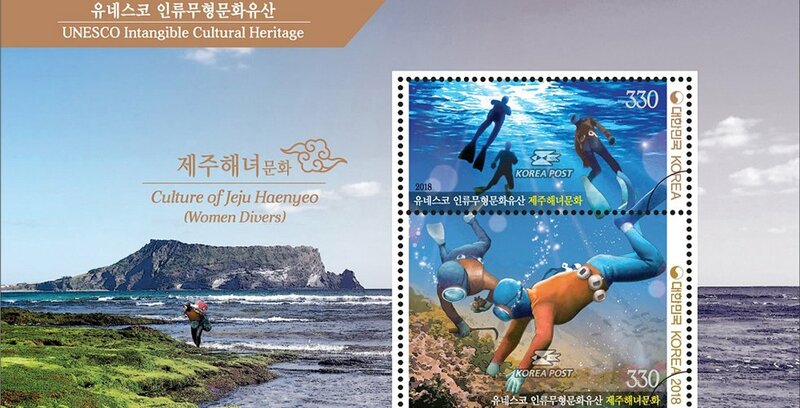 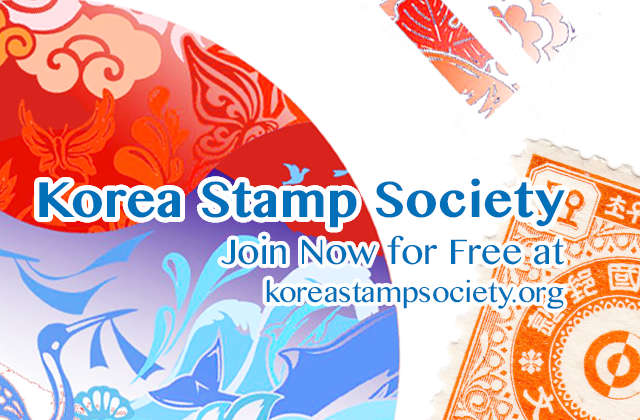 Since 1956 South Korea sporadically issued “Official Booklets” of a few of their definitive stamps. 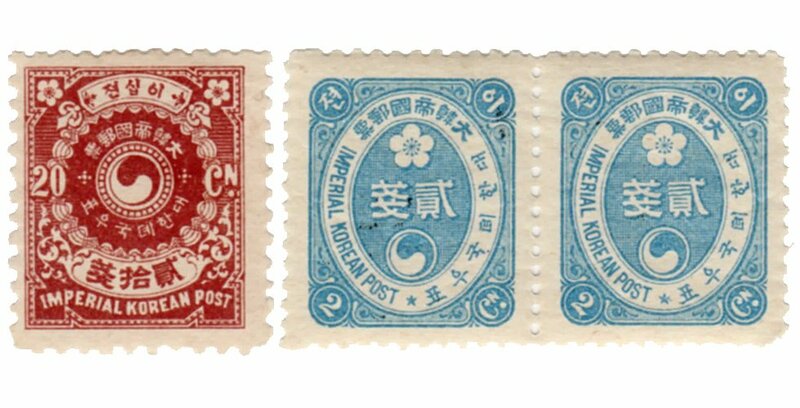 The three issued through 1974 (7/20/1956, 7/25/1958 and 4/20/1974) contained 5 panes of 6 stamps each. 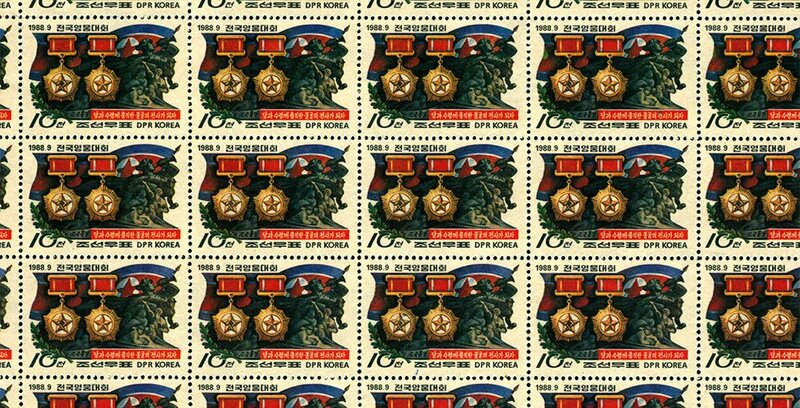 The two issued 9/30/1981 contained 1 pane of 16 (8×2) each and the one issued 11/15/1984 had 1 pane of 10 (5×2).